April 1 Art Tours – Last Days for Reservations! 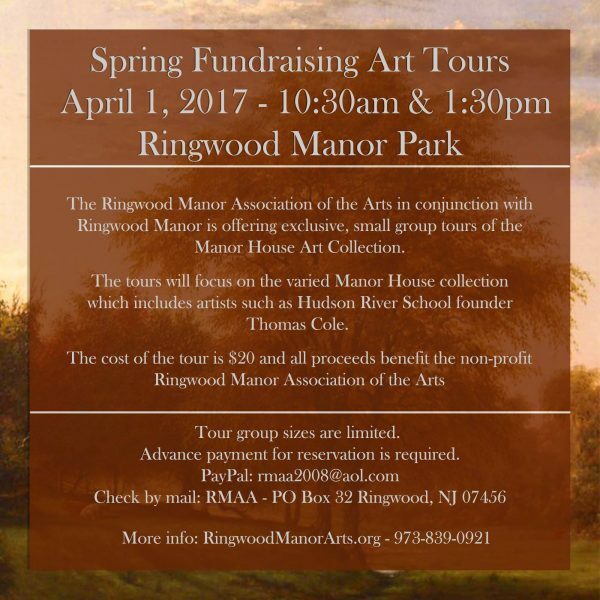 On April 1, 2017, the Ringwood Manor Association of the Arts (RMAA) in conjunction with Ringwood Manor will be offering exclusive small group tours of the historic manor house on the grounds of Ringwood Manor State Park. In keeping with the spirit and mission of the RMAA, the tours will focus on the art collection in the Manor House and be hosted by the Manor curator and historian. 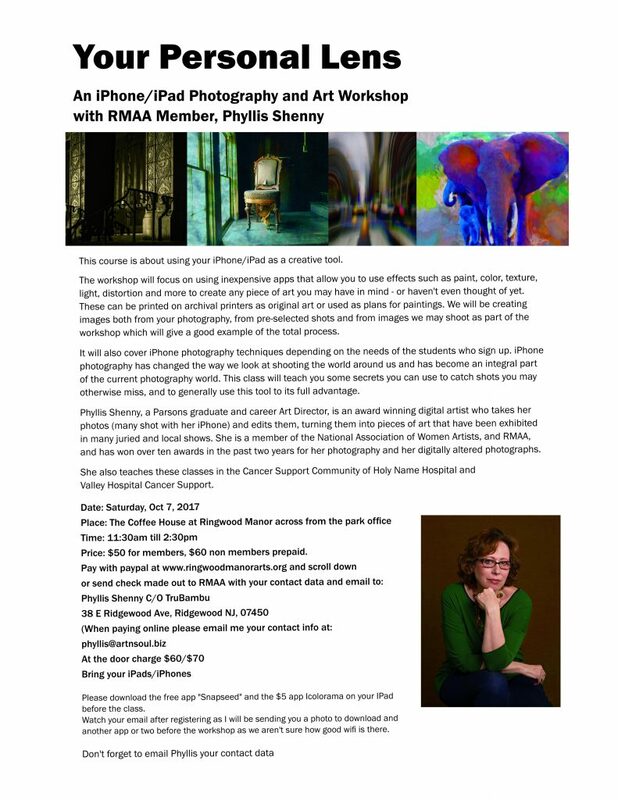 All proceeds from the tour will go to support the RMAA. The historic Ringwood Manor served as the summer estate of the Gilded Age industrialist Cooper-Hewitt families and is a National Historic Landmark District. The varied canvas and illustrative Cooper-Hewitt art collection in the Manor House includes paintings by 19th-century Hudson River School founder Thomas Cole, important American landscape artist Jasper Cropsey, and landscape and still life artist Martin Johnson Heade. Two tour sessions will be offered on April 1, 2017. Times are 10:30 am and 1:30 pm. Reservation payment can be made via the PayPal Donate button at the bottom of the page.